These lilies were a housewarming gift from my mom last year. They're planted by our front walk. 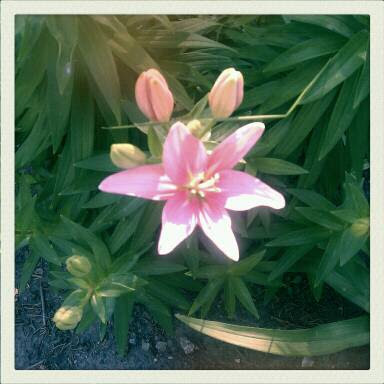 The first of many blooms burst forth while I was at work today. It's a delight to come home to.